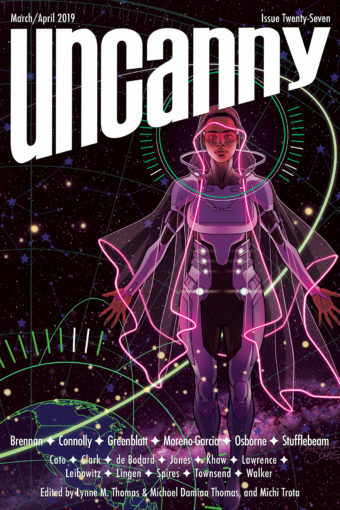 Second Half of Uncanny Magazine Issue 1 Unlocked! Don’t forget, the entire issue can be purchased as an eBook at Amazon, Kobo, and Weightless Books (our preferred retailer). Weightless Books is also offering yearly subscriptions. Thank you so much for all your support! We look forward to bringing you Issue 2 in January!